Cemeteries, graveyards and burial grounds in Wisconsin communities have their own unique guidelines, rules and regulations. Some of these cemetery rules and regulations can apply to gravestones, grave markers, headstones, memorials and monuments. 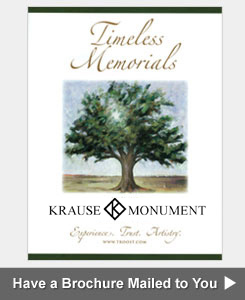 Contact the Krause Monument Company to learn more. We can answer your questions about the use of upright granite monuments, single grave monuments, 2 grave monuments, family monuments, flat single grave markers, flat companion grave markers, gravestones, flush or lawn level grave markers, veterans' markers, bevel top headstones, slant face gravestones, bronze markers, mausoleums, cemetery tombstones at most Wisconsin cemeteries. The Krause Monument company also offers on-site engraving services in which an experienced craftsman engraves a date or name and date on a gravestone that has already been placed above a grave in a cemetery. Call 608-637-7726 for assistance. Learn more by visiting The Wisconsin Historical Society (State Historical Society of Wisconsin) at http://www.wisconsinhistory.org/Content.aspx?dsNav=N:1205. The Wisconsin Historical Society. founded in 1846 and chartered in 1853, provides excellent information on federal and state laws that protect and preserve cemeteries, burial sites, native American burial mounds, and other locations where human remains are buried. All marked or unmarked burial sites in Wisconsin, regardless of their age or who is intered in them are protected by Wisconsin state laws. State law (Wis. Stats. 157.70) requires the Wisconsin Historical Society to maintain the Wisconsin Burial Sites Catalog which is a digital list of human burial sites. The Wisconsin Burial Sites Catalog is primarly used to determine which level of protection a Wisconsin burial site should recieve under Wisconsin State Law. For the benefit of Wisconsin community citizens, specific rules, regulations and ordinances are established by municipalities, towns, cities, counties, townships, villages and cemetery owners to insure the proper maintenance and beauty and to prevent abuse and destruction of the cemetery grounds and memorials located within the memorial park. Some cemeteries permit single or individual lawn level markers while others permit single and double (companion) lawn level markers. Certain cemeteries permit monuments to be used in specific sections. Other memorial parks do not allow monuments. Some graveyards allow bronze markers and others do not. At some cemeteries in Wisconsin, a slant-faced or double marker must have a foundation two feet in depth. It is important to talk with the Krause Monument Company before you purchase a grave lot or grave plot in order to find out how the cemetery's guidelines will effect the design of your memorial. Sometimes, cemeteries in Wisconsin and Minnesota specify the thickness and height of monument tablets. Other burial grounds dictate that all markers must be bronze on granite. Be aware that cemeteries may require aprons for monuments. Many cemeteries in Wisconsin and Minnesota have specific foundation charges or foundation fees for monuments. These costs are frequently based on the total square feet of the foundation. The Krause Monument Company has been designing memorials, monuments, markers, tombstones and headstones for Wisconsin, Iowa and Minnesota cemeteries for over 100 years. Our experience with delivering monuments to many different cemeteries in "America's Dairyland" has provided us with the knowledge to help our customers understand the memorial guidelines specified by Wisconsin cemeteries. 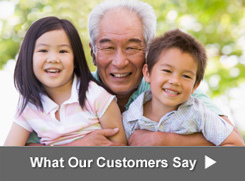 For an quick answer to your questions, please call 608-637-7726 and let us know what cemetery you are considering. We can explain the rules and regulations specified by the cemetery as it relates to the design and placement of a monument or memorial in that cemetery. Call the main Krause Monument Company office in Viroqua, Wisconsin at 608-637-7726 if you have any questions about the rules, regulations, requirements and guidelines of a cemetery, memorial garden, graveyard, memorial park, burial ground or mausoleum listed below. Click on the links below to get more information about the cemeteries we serve and directions to these cemeteries. The list below is not a complete list of the cemeteries that we deliver headstones and gravestones to on behalf of our customers. Wisconsin Memorial Park, 13235 W Capitol Dr, Brookfield, WI 53005, (262) 781-7474, Founded in 1929 and one of the most beautiful, prestigious burial grounds in Wisconsin. They offer multiple burial options including traditional ground burial, mausoleum crypts and lawn crypts, and numerous cremation alternatives. All Saints Cemetery & Mausoleum in Pleasant Prairie Wisconsin: All Saints Ground Spaces plot map and All Saints Mausoleum plot map. Calvary Cemetery & Mausoleum in Milwaukee Wisconsin: Calvary Ground Spaces plot map. Holy Cross Cemetery & Mausoleum in Milwaukee Wisconsin: Holy Cross Ground Spaces plot map, Holy Cross Mausoleum complex map, Holy Cross Mausoleum Addition map, Holy Cross Chapel Court map and Holy Cross Garden Crypts map. Holy Trinity Cemetery in Milwaukee Wisconsin: Holy Trinity and Saint Adalbert Ground Spaces plot map. Mount Olivet Cemetery & Mausoleum in Milwaukee Wisconsin: Mount Olivet Ground Spaces plot map, Mount Olivet Chapel of Angels Mausoleum map, Mount Olivet Garden Mausoleum map and Mount Olivet Mausoleum/Office Building map. Resurrection Cemetery & Mausoleum in Mequon Wisconsin: Resurrection Ground Spaces plot map and Resurrection Mausoleum map. Saint Adalbert Cemetery & Mausoleum in Milwaukee Wisconsin: Saint Adalbert & Holy Trinity Ground Spaces plot map, Saint Adalbert Garden Mausoleum map, Saint Adalbert Holy Family Chapel Mausoleum and Malls map and Saint Adalbert Chapel of Hope Mausoleum map. Saint Joseph Cemetery & Mausoleum in Waukesha Wisconsin: Saint Joseph Ground Spaces plot map and Saint Joseph Garden Mausoleum and Chapel Mausoleum map. 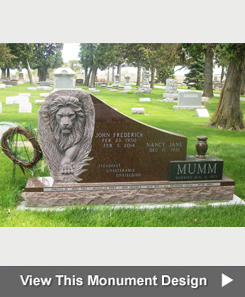 The Krause Monument Company designs monuments, markers, gravestones, grave markers, granite memorial benches, mausoleums, bronze markers, veterans markers, veterans monuments, civic monuments and community memorials for families and cemeteries in the following cities, towns and villages; Milwaukee, Madison, Westby, Green Bay, Kenosha, Greenfield, Racine, Shelby, Appleton, Seneca, Waukesha, Jefferson, Oshkosh, Slyvan, Eau Claire, Marshall, Rockbridge, La Crosse, Sparta, Sheboygan, West Salem, Wauwatosa, Leon, Fond du Lac, Mindora, New Berlin, Hillsboro, Wausau, Brookfield, Clifton, Beloit, Sextonville, Waldwick, Menomonee Falls, Baraboo, Franklin, Roxbury, Oak Creek, Verona, Manitowoc, Portage, West Bend, Richford, Sun Prairie, Stoughton, Superior, Janesville, Stevens Point, Mount Pleasant, Neenah, Fitchburg, Caledonia, Muskego, Watertown, De Pere, Mequon, South Milwaukee, Germantown, Pleasant Prairie, Marshfield, Wisconsin Rapids, Cudahy, Onalaska, Middleton, Howard, Menasha, Ashwaubenon, Menomonie, Beaver Dam, Oconomowoc, Kaukauna, River Falls, Weston, Bellevue, Whitewater, Hartford, Whitefish Bay, Greendale, Allouez, Pewaukee, Shorewood, Glendale, Hudson, Stoughton, Fort Atkinson, Plover, Waunakee, Brown Deer, Two Rivers, Cedarburg, Suamico, Waupun, Platteville, Marinette, Monroe, Sussex, Burlington, Walworth, Little Chute and Elkhorn. The experienced stonemasons, certified memorialists, memorial masons, sculptors and monumental masons at the Krause Monument Company that design, carve and craft gravestones, headstones, cemetery markers, monuments and mausoleums are considered to be the finest in Wisconsin. The Wisconsin Historical Society has information on published and unpublished cemetery records from churches and public and private cemeteries around Wisconsin. These records are related to cemetery records include church burial registers, sexton records, indexes of gravestone inscriptions compiled by various authors, and the actual gravestones. Click here to visit the Wisconsin Historical Society to learn about their cemetery records. Click here to read the PDF for Wisconsin Statutes and Legislative Documents, Chapter 157 Disposition of Human Remains, Subchapter 1 Corpses, Subchapter II Cemeteries, Subchapter III Burial Sites Preservation Which Provides Information on the following topics: Definitions for Cemetery associations; creation; powers and duties, Cemetery associations and religious associations; holding property; change of ownership. Location and ownership of cemeteries, Connection with funeral establishment prohibited, Platting, Conveyances, Alienation and use of cemetery lots, Improvement and care of cemetery lots and grounds, Opening and closing of burial places, Reburial of human remains by a cemetery authority, Duty to provide for burials, Abandonment of cemeteries and cemetery lots, Mausoleums and crematoriums, Trustees for the care of cemeteries or cemetery lots, Minimum acreage requirement for cemetery established on or after November 1, 1991, Minimum acreage of cemeteries; local ordinance, Deposit and investment of care funds and preneed trust funds, Municipal cemeteries, Public easement in cemetery, Reporting; record keeping; audits, Reporting exemption for certain cemeteries, Reporting and auditing exemptions; certification of compliance of cemetery affiliated with religious society, Regulations of cemetery affiliated with religious society, Veteran burials, Penalties and Enforcement. 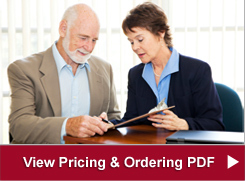 Click here to read the PDF for Wisconsin Statutes and Legislative Documents, Chapter 440, Department of Safety and Professional Services, Subchapter IX, Cemetery Authorities, Salespersons and Preneed Sellers Which Provides Information and definitions on the following topics: General duties and powers of board, Cemetery authorities and cemetery salespersons, Cemetery preneed sellers, Disciplinary actions and proceedings, Cemetery monuments, Disclosures and representations for certain sales and Penalties. Information on the Wisconsin Department of Safety and Professional Services Cemetery Board which regulates the following professions; Cemetery Authority-Licensed/Religious, Cemetery Authority-Registered, Cemetery Pre-need Seller, Cemetery Salesperson and Warehouse for Cemetery Merchandise. Cemetery listings for Wisconsin State from FamilySearch, a nonprofit family history organization dedicated to connecting families across generations. Wisconsin Cemetery Information from CyndisList.com. Visit the Wisconsin Gravestone Photo Project at http://wisconsingravestones.org. Browse gravestone photo records from across the state of Wisconsin. Research your Wisconsin ancestors and family history by searching the online database of gravestone photos. The mission of this project is to capture digital images of gravestones of our ancestors. As time goes by, the inscriptions on many headstones are becoming harder to read. By archiving digital images online, this project is helping to save a record of gravestone information for families and researchers in Wisconsin. Visit the Wisconsin Cemetery Tombstone Photo Pages on the WIGenWeb Project web site at http://usgwarchives.net/wi/cemetery/. This is part of the USGenWeb Project, a free genealogy and family history online service. Genealoger.com offers professional genealogical research services. Visit http://www.genealoger.com/wisconsin/wi_cemeteries.htm to get information on Wisconsin cemetery information and genealogy resources. Online index to copies of Wisconsin cemetery inscription lists available at the Library of the State Historical Society of Wisconsin by Patricia G. Harrsch, 1994. A list of Pet Cemeteries and Crematories in Wisconsin available at http://www.aplb.org/services/aftercare.html#wisconsin.